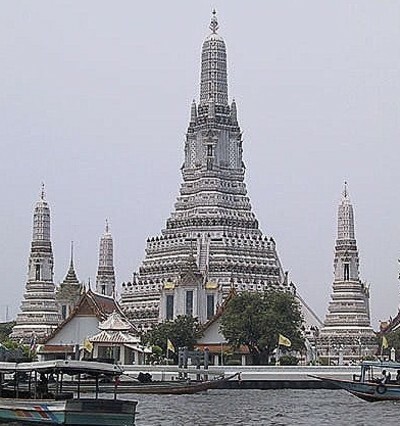 The famous Wat Arun perhaps better known as the Temple of the Dawn is one of the few Bangkok temples predating the Chakri dynasty, the current rulers of Thailand. It consists of a massive elongated prang (Khmer-style tower), and is surrounded by four smaller prangs. The prang is 104m high, while most other sources quote figures around 80-85m.